Start by leaning your back against the doorframe. 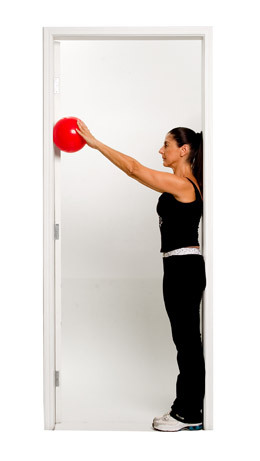 Hold a ball with both arms and reach forward. Proceed to slowly roll the ball up against the frame as high as you can. Be careful not to overarch the back. Hold for 20-40 seconds.